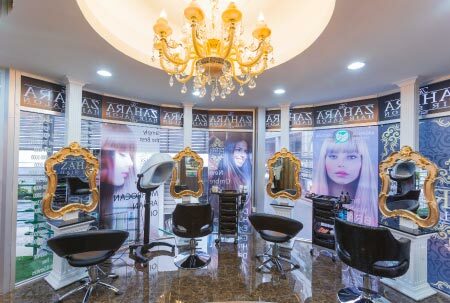 Zahara Hair Salon Bangkok is a brand new International salon for both men and women and designed to cater to both Westerners, Asians and has a Private Room for Muslim veiled ladies. Zahara Salon Sukumvit 13 is also very easy to get to. 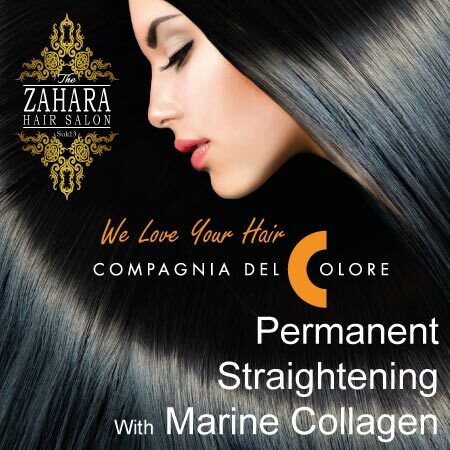 At Zahara Hair Salon Bangkok our professional hair stylists are experienced in all the latest hair coloring techniques from around the world, be it balayage, ombre, highlights, Brazilian Keratin Blowout treatments or the best Premium grade virgin Remy Hair Extensions Bangkok has to offer with English speaking stylists. Our Bangkok stylists are also highly qualified to do permanent straightening, Brazilian keratin blowouts, perms, hair repair treatments, hair extensions, up dos, braids, manicures, pedicures on all International hair types, from Western to Asian. Zahara hair salon Bangkok has a fantastic reputation and is one of the latest generations of salons to pop up in one of its trendiest streets, Sukumvit 11. Striving to be one of the best hair salon in Bangkok with many great services, styles and products. Hair extensions Bangkok Specialists, The Best Brazilian Blowout keratin Treatments, Ombre & Balayage Bangkok Hair Color Services using Olaplex, Argan Morrocan Oil & More. We train our hairstylists to International standards by top instructors from around the world. Why don’t you check out our flawless work and see for yourself the thousands of happy clients in our Gallery section above, or check out our facebook page for our latest reviews and work. If you are looking for meticulous work and some of the best hair and beauty services or one of the best hair salon Bangkok has to offer. We also import our own International products from around the World, many of which are not available in other bangkok salons. Let us recreate your existing style with a new cut or color that will look perfect. We also have some of the most amazing hair treatments and can perform miraculous results on any dry or damaged hair. To make a booking at Zahara Hair Salon Bangkok simply give us a Call, We speak English & are open 7 days a Week to answer any inquiries or booking requests. You can also make Online Bookings at Zahara Bangkok Salon by simply clicking Book Now. This will take you to our Facebook page where you can contact us, we reply Once a day, So for urgent bookings please call. Get the exact hair you want from a dedicated team of friendly down to earth professionals. Make a booking today and let us do the rest.